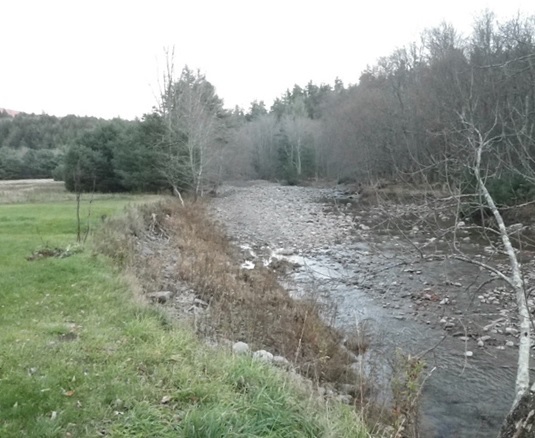 One unique CSBI project highlight in 2012 involved the stabilization and reforestation of a riparian buffer along the East Branch of the Neversink River using a soil lift and willow brush layering bioengineering technique. 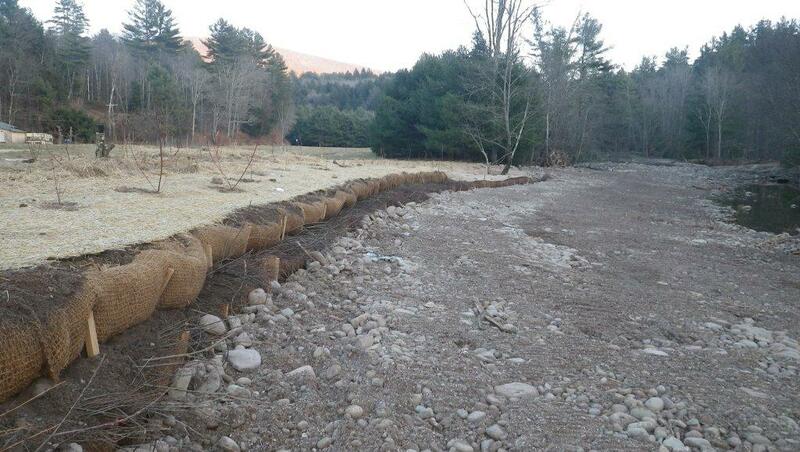 This project spanned across the eroding bank along two adjacent parcels for a total length of 500 linear feet. 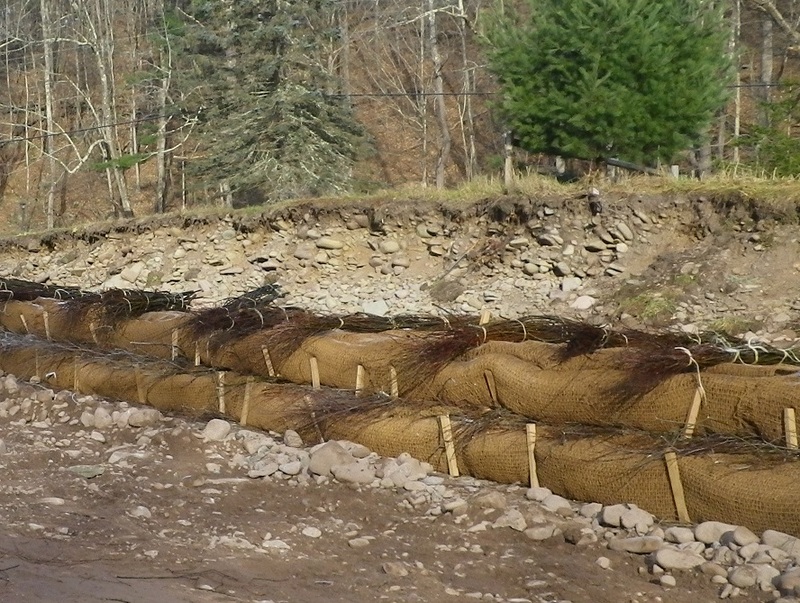 The soil lifts, created from coir erosion control materials, provide a resistance to the erosive forces brought about by high stream flows. 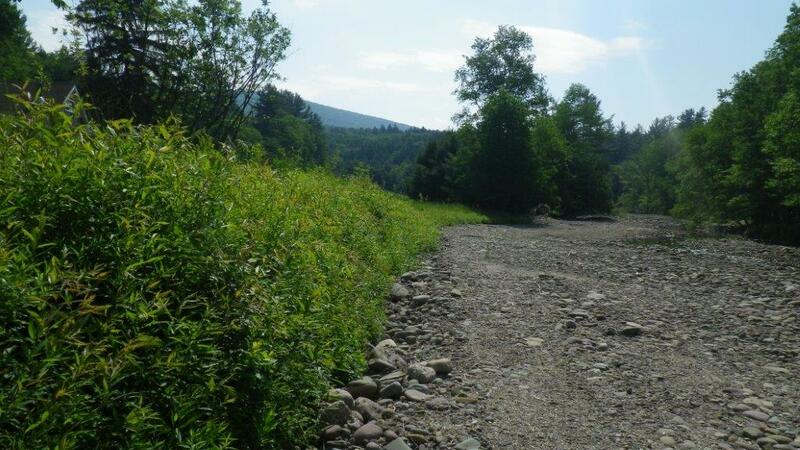 Live native willow cuttings carefully placed in between each soil lift provide soil stability through complex root systems, and add roughness to the stream bank to slow flow velocities and further prevent bank erosion. 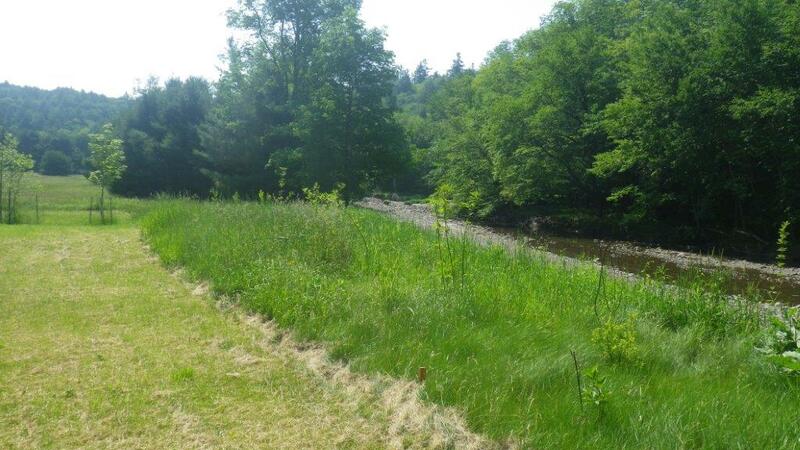 Juvenile trees and shrubs were planted along the top of the stream bank to provide additional root structure and soil stability, as well as the buffering of storm water runoff from upland sources.